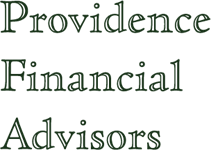 Mark joined Providence Financial Advisors, LLC in 2008. Like Steve, he had an interest in providing individual clients and small business with sound, institutional quality investment management and financial planning services. His experience led him to the conclusion that the individual investor was best served through an institutional model where the advisor works only for the client. Mark has over 19 years of experience in the investment business, working at companies serving both individual and institutional investors. Prior to joining Providence Financial Advisors, LLC, he held the position of Chief Compliance Officer and served on the Executive Committee of a national broker dealer and investment advisory firm, with over 400 registered personnel. His primary responsibility was providing oversight related to the supervisory structure of the organization. Prior to that, he held various positions over a period of 16 years at a national investment consulting firm. While working at the consulting firm, he was also responsible for trading, operations, finance, and regulatory compliance for that firm’s discretionary investment management affiliate and the firm’s institutional brokerage subsidiary. 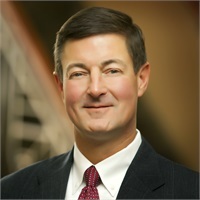 Mark earned the Chartered Financial Analyst (CFA) designation in 2001, and is a member of the CFA Institute, the Kansas City Society of Financial Analysts, and the Financial Planners Association. He is also a member of the Financial Services Institute, where he served as a member of FSI’s National Compliance Council. Mark currently holds or has held S7, S24, S28, S62, S63, and S65 securities and securities supervision licenses with FINRA (Financial Industry Regulatory Authority), which was formerly known as the NASD (National Association of Securities Dealers).